As told to Leif Eriksson and Martin Svensson. Alexander Gustafsson grew up in Arboga, a small town in Sweden. A country boy, he started boxing when he was 10 - winning the national youth medal at the age of 16. After a handful of run-ins with the law he began practicing mixed martial arts and working his way up the ranks of the UFC. 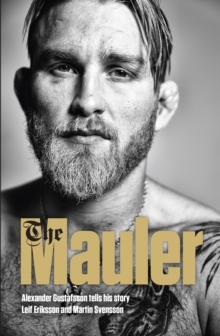 Nicknamed The Mauler by his training partners, due to his power, killer instinct and somewhat recklessness whilst fighting; this is the story of Gustafssons struggle to succeed in one of the world's most challenging sports. Family, friends, and the Christian faith all play decisive rolls. But above all, it's Alexander's unique talent for martial arts which, in just a few short years, sees him become one of the UFC's main poster boys. The Mauler is a frank and at times painful account of a young man rapidly heading off the rails, and of his fight to reach the top of his game in an effort to change his life forever.